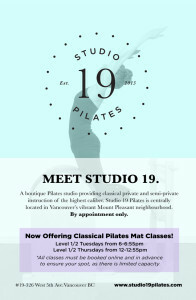 A boutique Pilates studio providing classical private and semi-private instruction of the highest caliber. 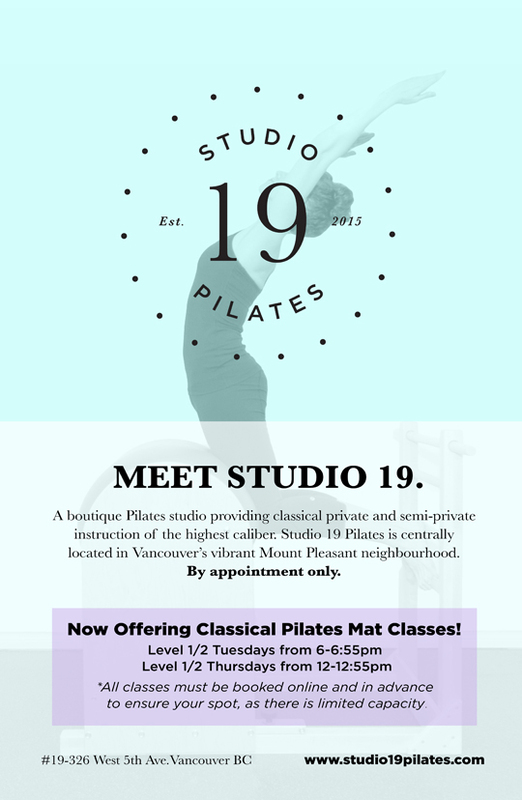 Studio 19 Pilates is centrally located in Vancouver’s vibrant Mount Pleasant neighbourhood. By appointment only. *All classes must be booked online and in advance to ensure your spot, as there is limited capacity.